HAKOM is competent for dispute resolution between the user and the operator, but only when the user has exhausted the possibility to resolve the dispute directly with the operator at first instance. The guidance on how to file a complaint to the operator can be found by clicking on How to complain. If you disagree with the operator"s decision, you can contact us. In the dispute resolution procedure, HAKOM can make a decision that is binding for the operator or issue an opinion or a proposal that is not binding for the operator. 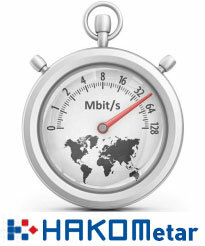 Guidance on how to submit a complaint to HAKOM on the disputed amount of the bill or the quality of service provided by the operator can be found here. Users are able to check on-line the status of their complaint by entering the classification number of the complaint (only for registered users). Please, submit electronically your request for the resolution of a dispute. Please, check the status of your complaint.